Jason Schmitt is CEO at Aporeto, a firm focused on new approaches to securing applications in the cloud. 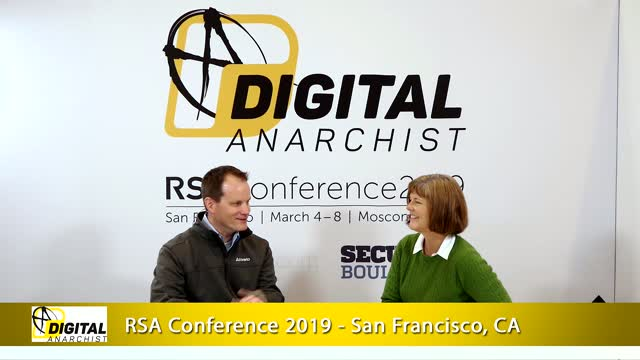 In this video from RSA 2019, Jason speaks with Charlene O’Hanlon about the security pitfalls around moving applications to the cloud, and why network infrastructure’s own baked-in security isn’t enough. Today’s IT infrastructures are vast, complex, and consequently fragile. The problem is that while developers need the sophisticated functionality modern IT provides, the fragility poses a significant roadblock—particularly when security and infra requirements enter the picture. In this video, Amir Sharif discusses how Aporeto addresses the security aspects of this problem by bringing unified identity-powered security to complex hybrid infrastructures. -Why the concept of network segmentation as a security counter measure is not translating successfully to cloud environments. Secure applications on Red Hat OpenShift Container Platform in the multi-cloud with Aporeto. Workload isolation, API access control, host threat detection, container image vulnerability management, secrets & certificates management, and visualization, all based on your application identity. The adoption of cloud-managed services such as managed databases and machine learning gives developers the freedom to innovate in the application business logic. Coupling microservices with adoption of cloud infrastructure and cloud managed offerings is a recipe for high-velocity application development. But what does this transformation mean for security teams? -How to secure heterogeneous cloud environments. -How to follow Zero Trust principles of authentication and authorization for all transactions. -What are the main components of security in the microservices stack? The adoption of cloud and containers requires new and more dynamic methods of securing applications. These methods need to address the complexity associated with applications that can span multiple clouds, hybrid infrastructure and private deployments. Instead of relying on traditional networking constructs, cloud-native security needs to enable security teams to centrally manage security policies and enforce them in a distributed fashion. Zero Trust security for microservices, containers and cloud works through the transparent generation of strong application identity. This identity is used for authenticating and authorizing application component interaction with themselves, user interfaces, and external services. In this webinar we will discuss how enterprises can adopt microservices and the cloud while leveraging their existing, brownfield infrastructure without compromising security. "Google is known for its brilliant engineering, its infrastructure efficiency, and its approach to robust security. In this webinar, learn about how to implement ATLS in your enterprise environment." By separating hosted cloud application service security from the network, you can design faster, scalable, and manageable cloud application topologies. Make the multi-cloud your datacenter with Aporeto. Aporeto's unique method for application contextual identity and policy enforcement secures applications and microservices hosted on the Red Hat OpenShift Container Platform, anywhere. Listen to industry experts discuss the latest trends and disruptions in microservices, container and cloud security and how to deploy Zero Trust in the cloud.